Best known for his 6-year stint as Brian Kinney on Showtime's Queer as Folk, actor Gale Harold is currently treading the boards at Theatre/Theater in the rarely produced Orpheus Descending by Tennessee Williams through February 21. Talk about commitment to a role! On the night I attended the play the cast did a Q & A after the performance with audience at which time Harold shared a story about iconic teacher Stella Adler's script interpretation notes in which it was stated that she once shut a student down in scene study class for his "pedestrian interpretation" of Williams' lyric poetry in Valentine's monologue about the bird with no wings. GH: She said something like "You cannot speak this as if you heard the story down on the dock." For an actor with great expectations, it gives you cold feet. Q: You have obviously taken your preparation for this role to heart. As an actor, you are a very good listener, but so is Valentine. What do you feel this attribute contributes to his overall symbolism in the play? Is he a healer of sorts? GH: I don't think Valentine's aware of that. Even though he's a hustler, he's had to survive by his wit and by his charm and by learning other things on the streets. When he communicates, I don't think what results he does consciously. I think it's just his spirit that's driving him. He loves to listen; he grew up all alone without family. There's that aspect of hearing things that probably most people couldn't hear. It's not what's coming through the words, but what's coming through your eyes and your heart. Like Stella (Adler) said, he listens to a voice, what's communicated through the soul. It's not something that we always come across. Q: He's an unusual person. He's bigger than he knows. GH: That's absolutely true. It's an allegory. He's a mythological character and a real person. You can't really be both if you know you're both. I'm treading very lightly on this, as I'm not really sophisticated to know. Q: It's very complex and you're doing very well with it. What is the tune that Valentine keeps singing throughout? GH: It's a poem that Williams wrote. The words of the poem...it's straightforward and simple. The meaning there is ...it's almost this country blues kind of song about this bird who is or is not this boy who is or is not this bird that used to be free. When he walked, he walked in a way on the grass that was growing in heaven. He was up in the stars and he watched the stars and he watched the sky, and one day he fell to earth. When he was given birth, he came out of his mother, but he's not himself in a different place. A beautiful image...the whole idea of it, I think! Q: You played Dr. Cukrowicz in another Tennessee Williams play, in a New York production of Suddenly Last Summer. Would you compare this character to Valentine? GH: I enjoyed playing him immensely. The characters themselves, even though they are both listeners, they're similar structurally in that a lot of their function in the piece is to listen. Listen to the memories, the ideas, and the passions. But they're incredibly different. Cukrowicz is young, somewhat ambitious, but still in his early stages, dealing with the procedure of lobotomy, which was very, very new. Not much was known about it. It was experimental, dangerous. That character is much more restrained, more about being the sounding board between the female characters. Valentine is much more involved. He's a transient and has some real problems in terms of the things he's done and up against. He's under scrutiny and gets put in a vey dangerous situation. He's a much more lyrical, active part of the story. The ideas are much more complicated in Orpheus Descending. In our production, Lou Pepe (director) has done a great job. When you take a great myth and incorporate it into a modern story, you get vastly different aspects, ambitious and compelling. Q: Do you have a role that you really yearn to play? GH: There are so many. I don't like to talk about it, actually. I let those ideas kind of percolate out there. Q: Is there one part that you've played that stands out in your mind? GH: There've been some great ones, but I'm still waiting for that one... Valentine is probably the most encompassing. You do the background work and it grows on you. It's quite a fire. Q: You have a good singing voice. Have you done musicals? If not, do you want to do one? GH: I haven't. I'm an extreme novice. I'm so out of my league. Q: How did you enjoy your role in Desperate Housewives? GH: I enjoyed it. It was something very different, very new for me. The way that Marc Cherry writes, the way that he sees what's going on...it was challenging. I'm not a comic and didn't have a lot of experience doing comedy. In that project, there's that fine line between comedy and dark drama. The things that are funny are not horrifying, but shocking or troubling. There's a very specific idea of timing and the way it works. And I immediately realized I had to say, "Marc, tell me, direct me, because I'm not sure where I'm really at!" It was fun. Q: Are you more challenged with stage work than with doing film? GH: In theatre, you go up, you do a performance each night, and you have things that change from night to night... the house, the way they're responding, the vibration that's coming back to you, or how they are not responding, your own nervousness, the fun of just being able to let it run every night. The other side is keeping your energy up, keeping your perspective clear. There's the challenge of making sure that you're playing each scene as if it's happening for the first time. On the other hand, I love films and working on film sets. And there's something that really fascinates me about getting into the light someone that may be over in 18 days or however long you're working. What seems banal is challenging. I love it all. If the material is good, and if the people that are putting it together are motivated and have a sense of humor and aren't afraid of really pushing each other to uncomfortable places, then there's nothing better. Q: Good! What do you think is the real success of Queer as Folk? Why is it still so popular in rerun? Q: What do you feel is your most important mission as an actor? GH: Oh, God, I would hope it would be to ...on some level whatever the job is, whatever the part is ...to try and find the truth in whatever you're doing. Nonjudgmental truth. And then communicating it so that it is believable, even if it is a lie, and that it is true for each person that watches it. Everybody knows eveybody on some level. We can all imagine. And that's why the arts, drama is so important, because it continually tells our story. It allows us to revisit and live on through it. Be a storyteller and get it out there so that it can be understood, make sense and do its job. Q: Anything up and coming for Gale Harold? GH: It's all pretty much up in the air at the moment. Based on seeing this man in Orpheus Descending and talking with him, I sense that it won't be up in the air for long. He's a serious actor who is not afraid of taking risks, big risks and is therefore bound for glory. When will you post the interview? I have the same question as Barbara... When will the interview be up? Thank you Don for such a great and insightful interview. Bravo! It is truly exquisite. What a wonderful interview! Thank you! What great interview and i too hope he gets the recognition he deserves. I totally agree with him on why QAF is so popular to this day. I'm sure you're right about Gale being glory bound! What a wonderful interview! You definitely asked the right questions. And I hope your words at the end are prophetic. 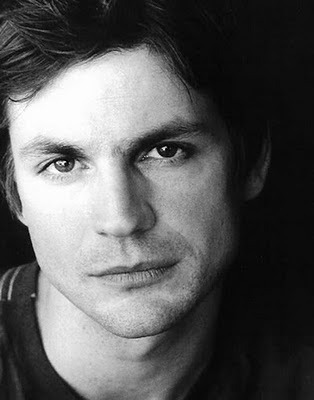 We need more Gale Harold! Thank you for the great interview. I wanted you to know how much I appreciate your interview with Gale. You asked some great questions and got some great answers. Thank you for taking the time to speak to this wonderful actor.